I’m not sure about you, but one of my favorite things is a cheesy casserole. I have major “chunking” issues — you know, you eat a chunk here, and a chunk there, and then the next thing you know, a quarter of the casserole is gone. There is something about cold pasta and congealed cheese that I cannot resist. Super appetizing, right? Well, after a beautiful weekend of drinks (finally tried a Jack Rose cocktail at Jack Rose in Adams Morgan), exercise (killer bootcamp on Saturday morning), and delicious treats at Sticky Fingers, a vegan bakery and cafe (that just happens to be a Cupcake Wars winner), I decided that I wanted to make a lasagna that would be guilt-free when the inevitable chunking began. I love squash and eggplant, and knew that baking these veggies with tomato sauce is already a sure-fire delight, but thought I would try to jazz it up with some vegan staples. After my mayonnaise making, I learned that silken tofu is a great substitute for something creamy. One of the best parts of lasagna is the creamy spinach and ricotta layer, but by using silken tofu, I was able to achieve a similar texture and taste. Also, wheat farina (otherwise known as Cream of Wheat) not only makes a tasty breakfast when mixed with ground flax seed, but also serves as a tasty cheesy layer when mixed with some nutritional yeast. Just as a couple of other notes before we get to the goods, I’d like to share a great trick for making eggplant. When you sprinkle eggplant with salt and let it rest for 15 minutes, it begins to release a lot of its water which helps with cooking to reduce the spongy texture that many people hate about my aubergine friend — you can use this trick for any eggplant whether it’s graffiti or deep purple, fried or baked. 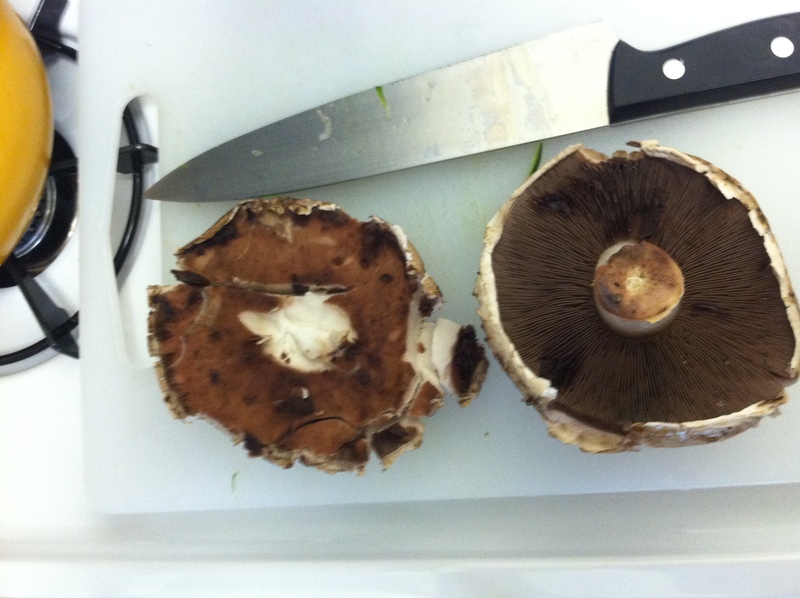 Also, the gills of portabella mushrooms not only look alien/deep sea-esque, but also have a very weird taste for me that I hate AND discolor anything that they touch. By scraping these gills away, you can be sure to have a beautiful lasagna and only taste the meaty umami of those big UFO mushrooms. Thaw spinach and squeeze out excess juice in a clean dish towel. In a medium bowl, mix together the silken tofu, drained spinach, carrots, lemon zest, salt, and pepper. Adjust seasoning to taste. 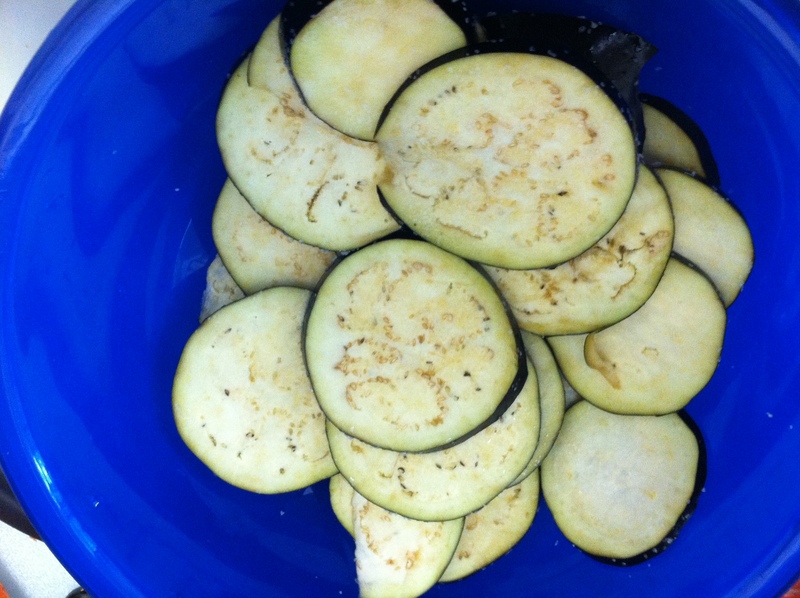 Slice eggplant into 1/2 inch slices and place in a large bowl. Sprinkle with 3-4 large pinches of salt (enough to salt all slices) and let the eggplant sit for 15 minutes. Cut zucchini in half, and slice each half into four long planks. Wipe mushroom caps clean and remove the gills from underneath with a spoon. Slice into 1/4-1/2 inch slices and set aside. In a small bowl, mix together the wheat farina and water and a pinch of salt. Heat in microwave for 1 minute. Stir and then heat for 30 more seconds, or until thickened. Stir in nutritional yeast. In a 13×9″ glass pan, spread 1/3 cup of marinara sauce on bottom. Layer zucchini across the bottom of the pan. Spread 1/4 cup of marinara sauce over the zucchini. Spread spinach, tofu, carrot mixture on top of the zucchini and tomato sauce. Next, add the eggplant in a single layer, making sure to let the excess water drip from each eggplant slice. Top eggplant layer with the nutritional yeast and wheat farina. Layer the remaining zucchini on top and sprinkle sliced mushrooms on top of the zucchini. Pour the rest of the marinara sauce over the vegetables. Sprinkle with garlic powder. Drizzle the top of the lasagna with 1/4 cup of good EVOO and sprinkle torn basil leaves and oregano leaves on top. Cover with aluminum foil and bake covered at 375 for 45 minutes. Uncover the lasagna, turn heat to 400, and let bake uncovered for another 35-45 minutes, or until vegetables are tender. Let sit for 15 minutes and enjoy.